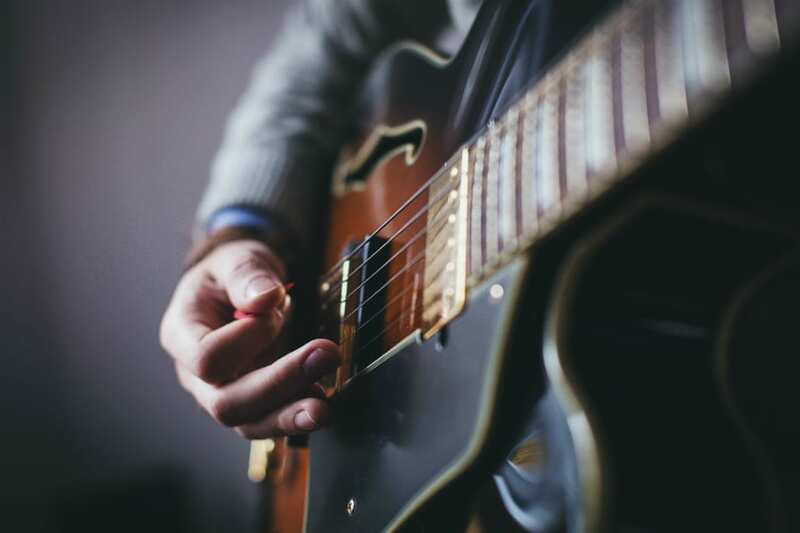 Richard Hutchinson, Saybrook Ph.D. candidate, received a donation to give veterans access to guitars and music lessons, offering them support and community. Recently, U.S. Bank presented Saybrook University student and veteran Richard Hutchinson with a $10,000 donation supporting the Guitars For Vets program. With this money, the organization, based in Cincinnati, will be able to support between 50 and 75 veterans. Hutchinson is a Ph.D. candidate in Saybrook’s Managing Organizational Systems program. His research focuses on the ability of nonprofit organizations to meet the immediate concerns of communities. He is also a veteran, having served 18 years on active duty with the National Guard and Army Reserve. Hutchinson is the coordinator for the Cincinnati chapter of Guitars For Vets. Guitars For Vets (G4V), founded in 2007, is a nonprofit, national organization whose mission is to enhance the lives of veterans who live with PTSD by providing them with free guitar instruction. The purpose of this effort is to promote positive social interaction, provide an avenue for self-expression, build focus and confidence, and create bonds of fellowship with other like-minded veterans in a creative, musical environment. Cincinnati is the seventh chapter in the program, and was established in 2012. G4V currently has 97 chapters across more than 40 states, and has given over 4,000 guitars to veterans. 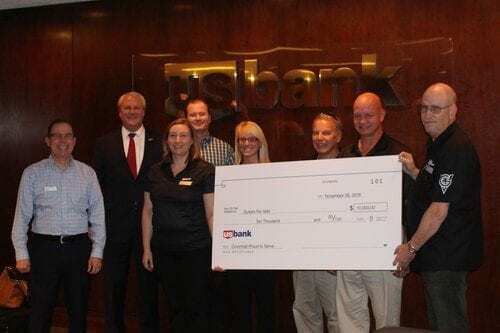 Saybrook would like to congratulate the G4V Cincinnati chapter and thank U.S. Bank for supporting this important project advancing positive social change for our veterans!